Add a New Event Novice Novice tutorials require no prior knowledge of any specific web programming language. Go to Events > All Events. Here is where all your added events are listed. 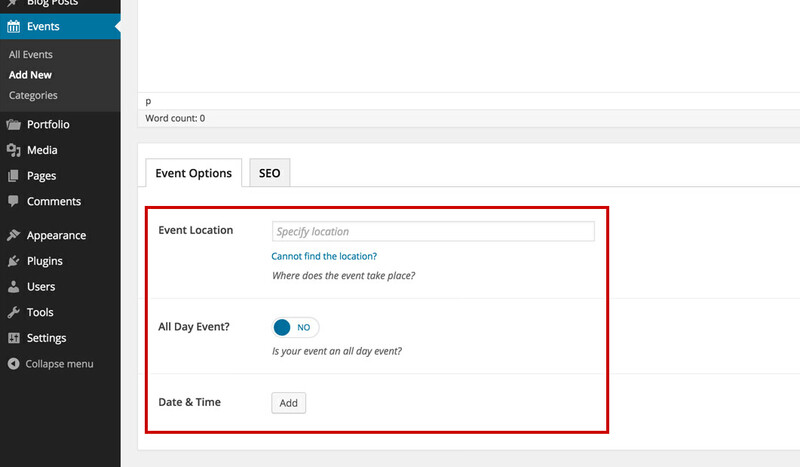 Add a title and input all the event related info like event location, full day event and date & time of the event. If you can't find your location, press the Can't find location link and you'll be prompted with a map module that will help you find your address very easily. 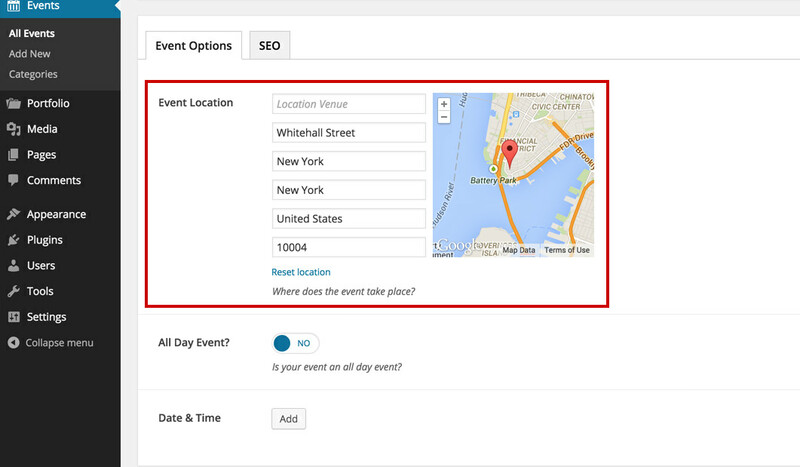 Just type the venue or address and the map will reflect that automatically. 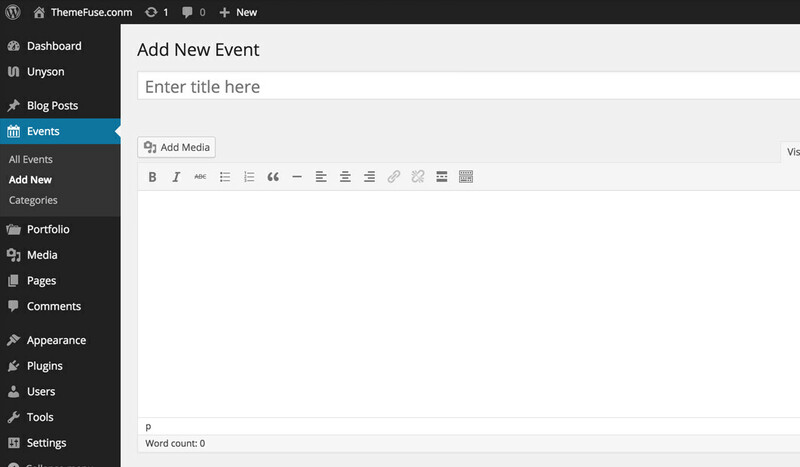 When you are done, hit the Publish button in the sidebar in order to publish your event. 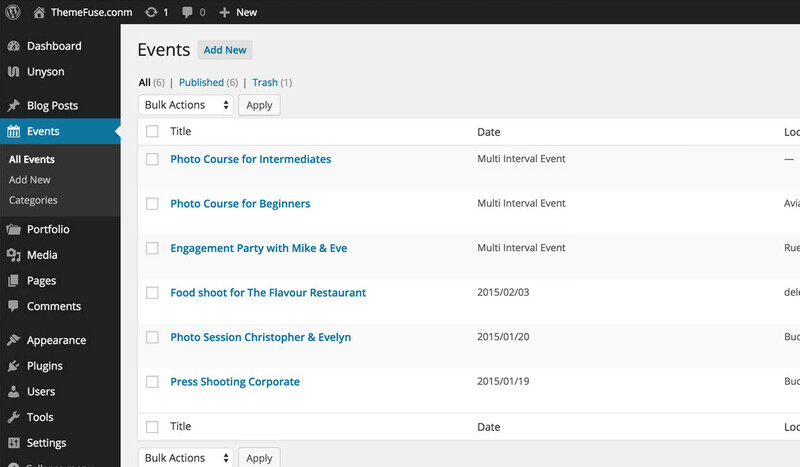 You can save the event as Draft or even schedule it to be posted on a future date. See more about posts visibility and future publishing in this article.